Same "D" shape as Omega Pacific's 7/16" model, but with bigger material for increased strength. Same great handling and use characteristics but with a strength rating of 65kN (that's over 14,000 lbf.!). Like all Omega Pacific carabiners, every ½" Modified D is individually proof-tested to half it's rated strength which means every one of these has been proven to hold over 7000 lbs! delivering reliable performance under even the worst of conditions. Dimensions: 9.9" x 4.63" x 2.37"
its knot efficiency can produce a strength up to 60% greater than knots in tubular webbing. Colors: Black, Blue, Green, Orange, Red, Yellow. 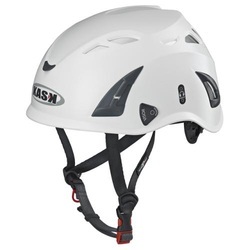 also the standard webbing for military applications. oversized holes to accommodate more gear. 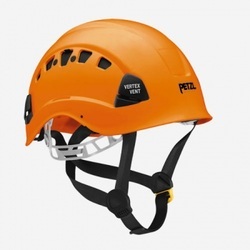 Contoured edges are easy on ropes, webbing, and carabiners. 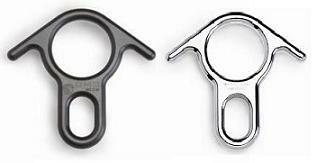 Each oval hole will easily accept 2 large carabiners while a large center hole accepts numerous connections. hips (positioning), chest (sternum), back (lumbar) and back (dorsal). to a free running cam by removing the connecting pin from the cam. 5,000 lbs. (22.24 kN). Made in USA. shoulder. 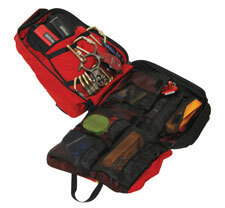 Complete "loaded" packs are also available. Carries 400 ft. of half-inch rope. Internal volume is 4800 cui. including Florescent Lime and Orange and Photoluminescent. 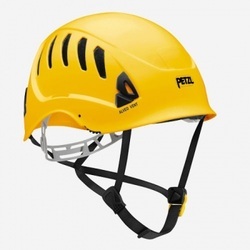 anti-intrusion grille that prevents entry of debris into the helmet. 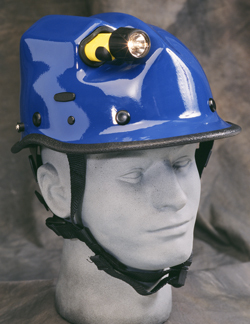 Provided with the external lamp carrying clips made from strong Nylon 6.6 that are compatible with all head lamps available on the market. and other similar work activities. Made in Italy. harness. Provided with the external lamp carrying clips made from strong Nylon 6.6 that are compatible with all head lamps available on the market. 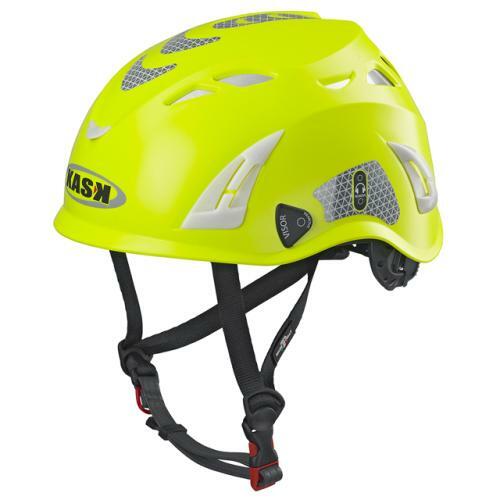 Accessories include Visor (Clear, Smoke and Mirror), Winter Cap and Adapter for helmet-mount ear muffs. Ideal for tree climbing, forestry, framing & roofing, sawmills, logging, construction, rescue climbing and other similar work activities. Made in Italy. comfort. Shock absorption achieved through deformation of the outer shell. 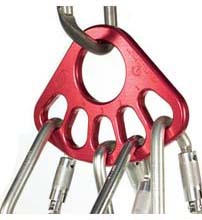 provide tie-backs to secure rope guard. building parapets, etc. Can also be used as a small diameter hose roller. Tensile Strength: 10,000 lbf. Dimensions: 5" x 9". Weight: 30 oz.. Color: Gold. Three linked units consisting of hard anodized aluminum side plates with two roller bars each. This lightweight and compact roller can be used linked together with the furnished screw links at sharp edges, or separated for long gradual breakovers. fibers. Dimensions: 20h x 18w x 10d. there is minimal rope elongation required. Available in the following spool lengths:100ft,150ft, 200ft,300ft,600ft and 656ft. CMC's popular #2 through #6 Rope Bags have a variety of innovative features. 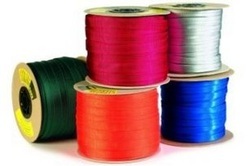 Cordura nylon that has made CMC Rope Bags such solid performers for years. the hand when lifting or carrying the bag. The bottom of the bag has a grommet to pass the rope through plus a carabiner loop if you prefer to tie the end off inside the bag. 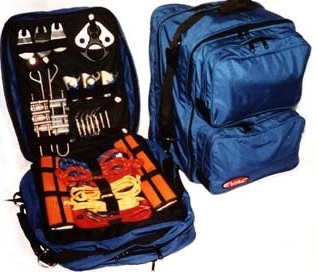 The #1 Rope Bag has an external handle and is all CORDURA® nylon. The #4 bag is only available in Orange, Blue or Red. The #6 bag is only available in Orange and Red. 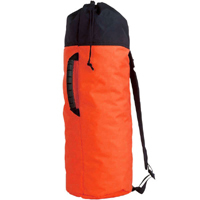 All other bag sizes are available in Orange, Blue, Red, Black and Yellow. 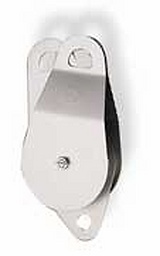 Designed to carry 80' of 8mm rope, eight plate and carabiner. 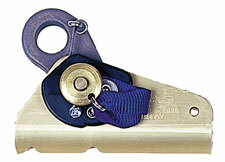 Just the right size for raising tools, doing searches, or emergency bailouts.